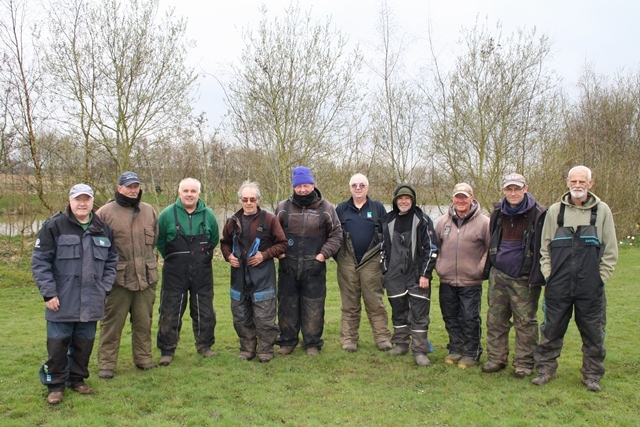 Anglers gathered recently at Mill House Fishery's Mistral Lake near Lydiate for a special memorial competition to remember one their colleagues, Mervyn Jones. The event, which took place over the Easter weekend, raised £640 for Woodlands, where Mervyn was cared for at during his final days last year. His friends have since set up the Mervyn Jones Memorial competition and over 40 anglers took part. Following the hotly-contested event a presentation ceremony was held at Maghull Football Club, where a cheque for the amount raised was presented to Mervyn's wide, Brenda. Kate Leah, Fundraising Manager at Woodlands Hospice, said: "This was a wonderful way to raise money in memory of one of our patients, who was clearly a much-loved and popular member of the local angling community. "We would like to thanks all those who took part and helped to raise valuable funds for our ongoing work in supporting those with life-limiting conditions and their families." The Jones family themselves have also been responsible for raising amazing sums of money for Woodlands recently, in particular Mervyn's grandaugher Olivia, who hit the headlines last year when she raised over £1000 through a variety of events. If you are inspired to stage your own fundraising event for Woodlands then please contact Kate Leah, Fundraising Manager, on 0151 529 2631, or email her here.